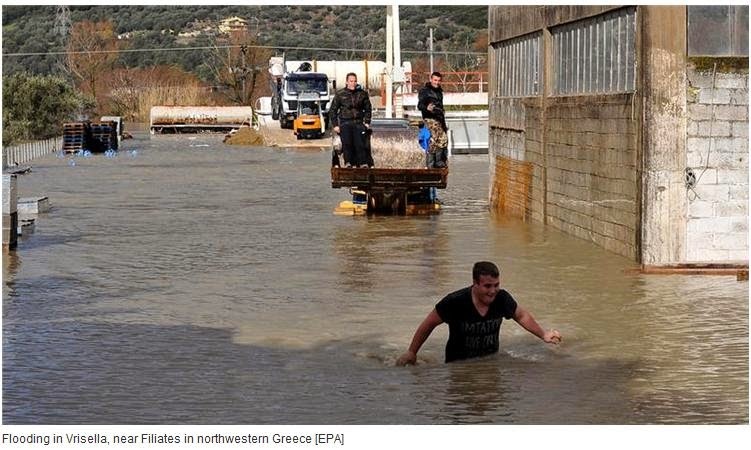 A winter storm has brought flooding to parts of Greece and southern Albania. No fatalities have been reported in either country, but considerable disruption has been caused by a combination of torrential rain and strong winds. Rain began falling in Greece’s northwestern province of Epirus on Saturday, prompting the authorities to evacuate people from four villages near the city of Arta. By Sunday, four rivers in the area had overflowed. One high-profile casualty of the flooding was the Plaka Bridge, the largest arch bridge in the Balkans. 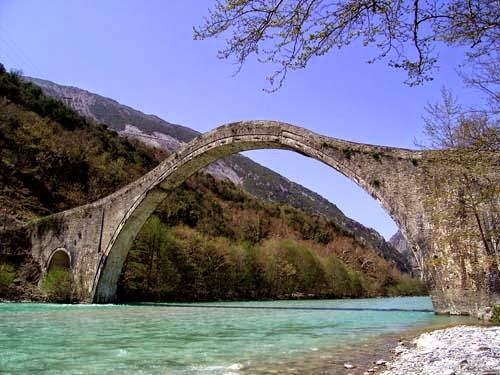 The bridge, which spans the Arachthos River, was built by Konstantinos Bekas in 1866. It is reported that the whole of the central section of the bridge was washed away. In southern Albania, scores of families and their livestock were moved from homes and farms in Vlore, Fier, Berat and Gjirokaster, south of the capital, Tirana. In Gjirokaster, 220mm of rain fell between Saturday and Monday, more than would normally be expected in the whole of February. In coming days, further troughs of low pressure moving through the Mediterranean could bring another 100mm to 150mm of rain to coastal areas of southern Albania and northwestern Greece.